Which team will Erik Karlsson be traded to? The Golden Knights seem like the likely choice. NY Post: Larry Brooks reports the Ottawa Senators have given interested teams permission to talk contract extension with Erik Karlsson. Sounds as if he is looking for a Drew Doughty deal (8 years x $11 million). 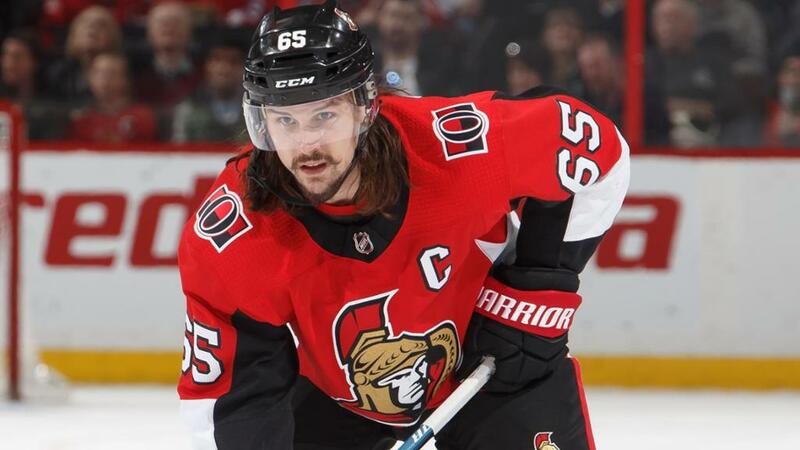 Sonny Sachdeva of Sportsnet reports Pierre Dorion said Sunday that the club has offered Karlsson — who’s set to become an unrestricted free agent after the 2018-19 campaign — a contract extension. While Dorion told reporters an offer was extended, no details regarding salary or term were revealed. “Obviously we don’t really want to talk about roster players, contract negotiations, trades, all these things,” Dorion said Sunday. “But I think we owe it to our fans and we made a promise at the town hall that we would make a contract offer to Erik Karlsson and we’ve done so. Karlsson is set to earn $6.5 million in 2018-19, the final season of a seven-year contract signed back in 2012. The 28-year-old is coming off a 62-point effort for Ottawa — while being limited to just 71 games. The Senators would like to package forward Bobby Ryan in any deal for Erik Karlsson and they only team that could fit both salaries to their payroll are the Vegas Golden Knights who were very close to acquiring Karlsson and Ryan at the 2018 NHL trade deadline. Boston Bruins will pass on Karlsson? Joe Haggerty feels the Boston Bruins should pass on Erik Karlsson. He’s going to be 29 at the end of this upcoming season, has had foot issues and wants an 8-year mega-deal. Classic case of paying for past performance IMHO. Great player, but for how much longer? Rick Carpiniello reports Erik Karlsson won’t be coming to Manhattan, The Athletic has learned. According to people familiar with the New York Rangers’ thinking, a trade for Karlsson would go against their rebuild in that they would not be willing to give up the top prospects it would take to get him, they would not be willing to take on Bobby Ryan, whose cap-hit the Senators desperately want to dump as part of a deal, and they would not be willing to extend Karlsson to a Drew Doughty-type of contract (he just re-signed with Los Angeles for eight years at $11 million per). Karlsson is signed through the coming season ($6.5 million) and an extension would not kick in until he’s 29, in 2019-20.Ryan, 31, carries a $7.25 million annual cap hit for each of the next four seasons. Not even part of the consideration is that Karlsson is coming off complicated ankle surgery in the summer of 2017.